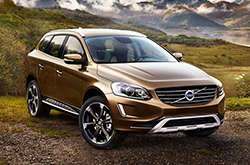 In the 2016 XC60, Volvo provides a new and improved version of their luxury midsize crossover. Featuring an eight-speed transmission for better fuel economy, the most up-to-date technology for the safest ride and a stylish exterior that was built to impress, the 2016 Volvo XC60 in Plano is exactly what buyers are looking for in a luxury SUV. The Drive-E powertrain family comes stocked with a four cylinder engine and an 8-speed automatic transmission. With fuel economy ratings that exceed many in its class, the XC60 provides efficiency and sport, while also exceeding the safety standards that crossover buyers demand, an aspect of the vehicle praised by 2016 Volvo XC60 reviews. Not only does the SUV consistently receive superb crash scores and include a city safety program to prevent collisions as a standard feature, but buyers also have additional options like a road sign information system and blind spot information technology within the Volvo Intellisafe suite. Owning a car has never been as easy as it is now with the Volvo XC60. The Sensus information hub allows owners to pay for parking from the car, listen to text messages aloud, discover new restaurants in the area and stream music all from the sleek digital display. Plus, a feature highlighted in 2016 Volvo XC60 reviews, Volvo On Call, allows owners to check fuel levels, pre-cool the cabin, locate and check the mileage of their XC60 all from the convenience of a smartphone app. In addition, optional navigation, a heated steering wheel, driver alert control and additional features are available with the Premier and Platinum trim levels. Standard features are abundant too and include a rain sensor, intelligent trip computer, satellite radio capability, Bluetooth hands-free system, dynamic stability control and an incredible security system. 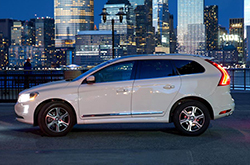 Visit Crest Volvo Cars to test drive a 2016 Volvo XC60 in Plano, Texas, and discover why it's the crossover you desire. With an ideal combination of luxury, innovation, safety and power, Volvo's midsize crossover is the perfect vehicle for weekend adventures, cross-town carpools and morning commutes. Stylish and reliable, there is truly no better choice than the 2016 Volvo XC60 when it comes to luxury SUVs on sale near the Dallas-Fort Worth area. When you compare Volvo's latest XC60 model next to the 2016 Mazda CX-7, Infiniti QX50, Audi A5, Mercedes Benz GLK and the Acura RDX, you'll determine that it surpasses the competition. If the XC60's cutting-edge features and pronounced exterior styling don't persuade you that it's the ideal vehicle for you, we're sure its low price will. 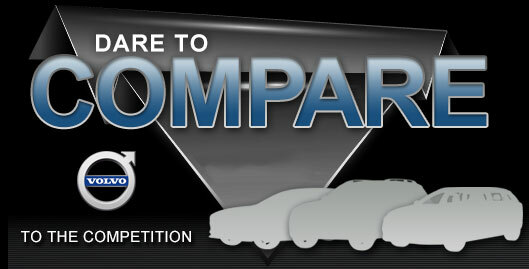 Compare its price to the competition and you'll see that it's a fabulous value, which is one of the main reasons why so many Plano drivers select it. Check out our Quick List under this text for more information about what it offers! The Volvo XC60 review above, along with overviews of former models and other 2016 Volvos, will help make finding your next car a breeze. As the top-rated Volvo dealer in Plano it is our obligation to supply our customers with reviews recorded by the best Volvo writers around. Want to know about the 2016 XC60's powertrain options and other specs? 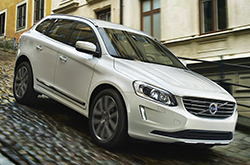 As your Volvo dealer, you can count on us for credible information. After viewing Crest Volvo Cars' review of the new XC60, fill out the form on the right to message us to make an appointment for a test drive and find out about great short-term lease offers!